Drastically decreasing numbers of students, 82 study programmes shutting down this year due to lack of students, poor study quality and positions in global ratings, these are the problems most prominent in the Lithuanian higher education system, which calls for reform. With the new study evaluation and rotation order that was passed in Seimas recently it has become an even more prominent facet of discussion. On Thursday a debate in the Vilnius University Institute of International Relations and Political Science (VU TSPMI) featured a number of speakers from prominent political parties – Rimantas Vaitkus (Social Democrats - LSDP), Ramūnas Karbauskis ( Peasants and Green Union, LVŽS), Vydas Gedvilas (Labour Party, DP), Gintaras Steponavičius (Liberal Movement, LRLS), Dr. Mantas Adomėnas (Homeland Union, TS-LKD) and Natalja Istomina (Order and Justice, TT). Each presented their take and future vision for Lithuanian higher education. 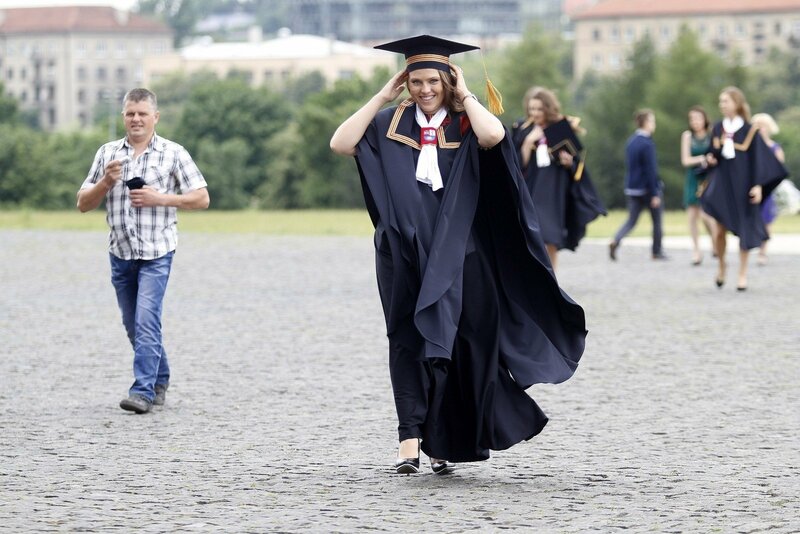 VU TSPMI political scientist, docent Dr Nerija Putinaitė noted that higher education reform is not high enough on the political agenda, in no small part due to the criticism and debate such reform will inevitably attract. Social Democrat representative R. Vaitkus noted that the new education and studies law will take time to show results, largely because it was passed rather late. He was critical of the education reform prepared from 2009, finding it to have been detrimental to the quality of studies provided. According to Vaitkus there is a need to review the financing of higher education institutions in order to ensure that underperforming departments start pulling their weight. The politician also noted that the number of study programmes is far too large currently. The Chairman of the LVŽS Ramūnas Karbauskis spoke for the abolishment of institution funding based on student intake and stressed the need to have higher education prepare individuals in the qualifications needed in the labour market. He proposed the idea of creating an accumulated grade that is gathered throughout grades 11 and 12 to use for entry to higher education, albeit admitting his lack of expertise in the area. V. Gedvilas cited that 1500 bachelors and masters students opted to get a vocational education after their studies. He claims that supposedly it is necessary to start with a vocational education and only later seek higher education. 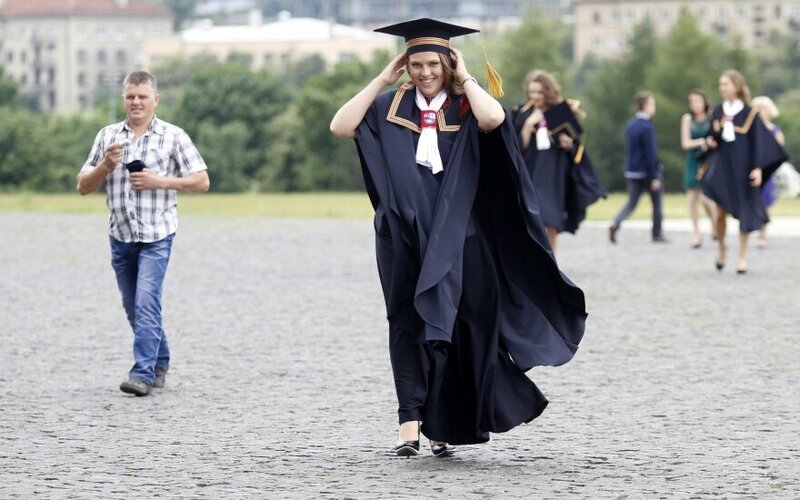 The Labour Party supports reducing the number of universities, albeit at the price of major cities, expressing a need for universities outside the central locations of Vilnius and Kaunas. According to Gedvilas, Vilnius and Kaunas should only have 2-3 universities. Other topics brought up by the politician were the need to tailor educational programmes to domestic market needs and the need to strengthen financing for sports as this area is held in insufficient regard. The Order and Justice Party representative N. Istomina focused on social segregation, noting the financial difficulty many students from poor families are faced with if they wish to go to higher education. She also noted the need for equal requirements, to make sure that certain standards need to be met, rather than anyone interested being able to obtain higher education. G. Steponavičius, as a former Minister of Education and Science started on a positive noted, when asked about the problems and mistakes of his term. He stressed the advances VU has had in various ratings, expressing belief in the higher education reform set off during his term having been instrumental in keeping VU competitive. He noted that the progress on university mergers was too slow, with only two universities merging as well as three colleges during his term. Steponavičius also noted that the funding based on student intake had a few flaws and needed a buffer of state commissioning. Vilnius University Record prof. Artūras Žukauskas saw a lack of three factors in the statements made by the parties – how they intend to change management, how will funding be found for the ideas suggested and finally exact numbers. VU TSPMI lecturer N. Putinaitė observed that even general education is a higher priority than higher education in party programmes. She stressed three types of ambitions that could be used to prepare a strategy for higher education – local, international and global. Putinaitė mostly observed local ambition among parties, where higher education is seen as a system to resolve local problems, such as providing necessary specialists. And in such a case there’s no need to consolidate universities, she notes. “A question arises. Are parties considering economic interests or the goals of a state that wishes for democratic development? Higher education typically is tasked with improving economic welfare. First of all, the creation of specialists,” noted N. Putinaitė, observing that there were a couple of parties that had vague notions of international ambition to ensure competitiveness, but none considered the idea of global ambition, which would seek to make Lithuania a global idea generator.